The Killeen Police Department has invited the U.S. Department of Justice (DOJ) Office of Justice Programs (OJP) Diagnostic Center to assist the department in efforts to reduce crime. 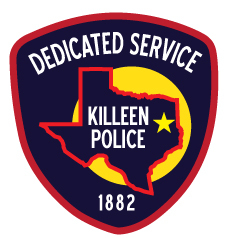 This collaboration will produce a comprehensive crime reduction strategy by examining Killeen’s crime environment, evaluating current response methods and resources and developing proactive approaches to achieving measurable and sustainable results. Over the next several months, OJP will work with Killeen Police Department and local stakeholders to thoroughly assess serious crime and associated response tactics and to develop an understanding of the community’s perceptions of crime and its perspectives on community engagement. OJP Diagnostic Center utilizes a data-driven approach to “diagnosing” crime and its root causes. By collecting and analyzing current and trend data, the center can identify multiple facets of the crime cycle and determine baseline indicators for comparison to other cities. Strategies can then be developed unique to Killeen but based in best practices from other agencies with proven results. The outcome of this process will be a comprehensive strategy to combat crime based on data and evidence. The strategy will establish priorities, identify and allocate resources, provide training, create partnerships and engage the community to effect meaningful and measurable change. “A safer Killeen is a goal we all share, and it will take all of us, law enforcement and the community, to achieve it,” said Kimble. The U.S. DOJ, OJP Diagnostic Center is a resource designed to provide customized training and technical assistance (TTA) by working with law enforcement and communities to reduce violent and other serious crimes. The OJP Diagnostic Center helps communities invest in what works best by bridging the gap between data and justice policy at the state, local and tribal levels. OJP Diagnostic Center TTA builds community capacity for data-driven decision-making, ensuring that limited local resources are invested wisely and federal assets are leveraged where they are needed most. By maximizing the impact of available resources, the OJP Diagnostic Center helps communities reap better public safety outcomes and provides their assistance at no cost.